UCLA True Bruin Move and Groove 5K. Join fellow Bruins, family and friends on Sunday, March 8, for the 2nd Annual UCLA True Bruin Move and Groove 5K. 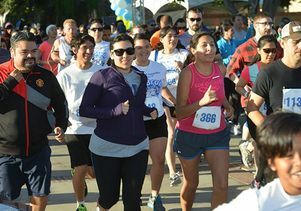 The fun campus race is presented by UCLA Staff Assembly, with sponsorship support from the UCLA Healthy Campus Initiative, in support of Staff Assembly staff enrichment scholarships. 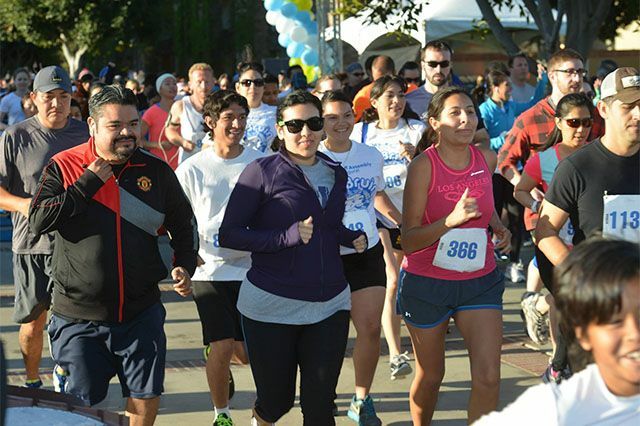 Run or walk the course, which starts at 8 a.m. and ends at 9:30 a.m. at UCLA's Wilson Plaza. Post-race food and entertainment follow until 11 a.m.
All race participants receive an official True Bruin Move and Groove 5K T-shirt, a goodie bag, a finisher’s medal and a running bib. Find details and register here. UCLA True Bruin Move and Groove 5K 2014.